2 parties in 2 weeks. Yes the SUBWAYXL4 and HOSPITALITY AT 5 DAYS OFF videos are featured on my youtube channel! Thats why I didn't do much sketching but my stickers are comin' back everywhere. 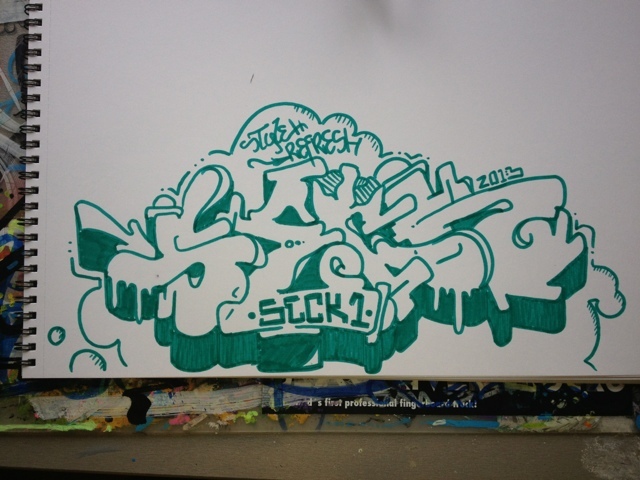 Got a quick sketch done in a dope blue greenish colour. Picture shot with my new iphone! Enjoy!